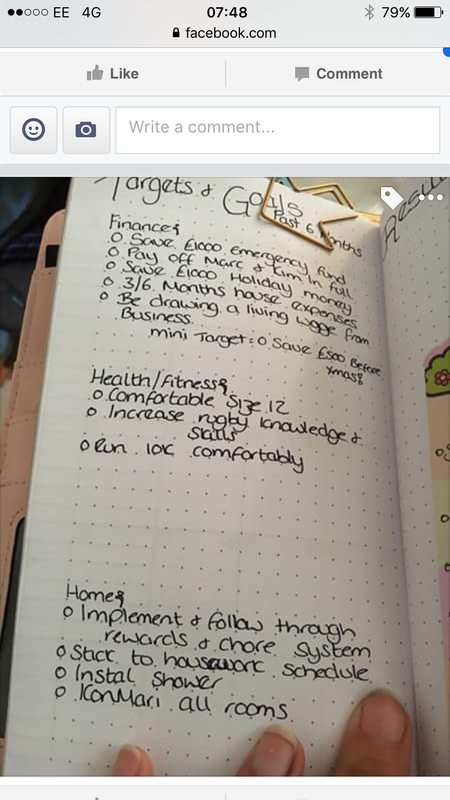 A few people in the UKPA planner group had been talking about a challenge they had set themselves, it had me intrigued, so when they opened the group again to start the 2nd 6 month phase I requested to join. The concept is simple and brilliant, you set yourself realistic, obtainable goals and targets and we support and encourage each other. I’ve been stuck in a rut for a few months now, with Weightloss, gym and creativity, so this has come at the perfect time, they say doors open when you least expect them and I’m a great believer in that! These are screen shots of the pictures I posted in the group. 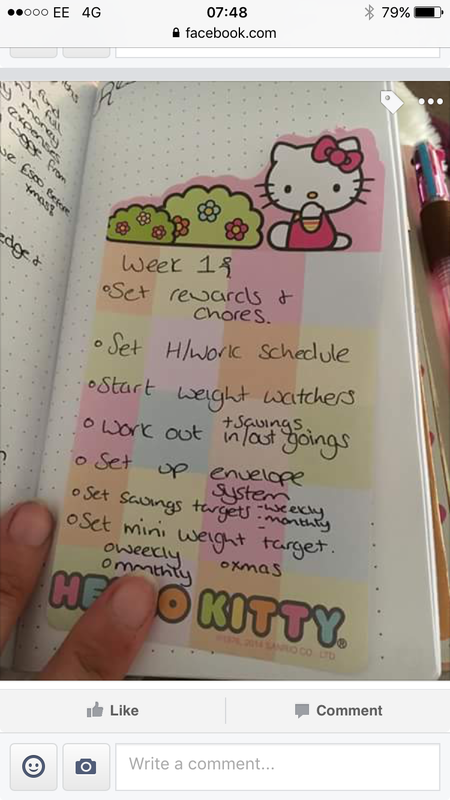 The steps that I have started to implement have already made a big difference and I’m feeling really positive, I’m taking it in small steps and I will share those steps and how things are going with you. What would be your goals to change your life in 6 months? This is such a great idea Michelle, I finished my degree in July and didn’t get enough points to start Teacher Training in October so now I’m like “What do I do now?”. Maybe I should set myself some short term goals to research my options. Your goals seem very achievable, good luck! Stay Positive!! I missed out on the last round but am determined to make so big positive changes this time around. I’ve just tweaked my goals a bit and will be going public with them very soon.